These changes will cut park operating costs by $1.8 million. The announcement comes after a $10 million cut from the organization’s budget. DEEP now has a state park budget of $18 million and taking these measures will cut park operating costs by $1.8 million. Three Connecticut campgrounds — Devil’s Hopyard in East Haddam, Salt Rock in Baltic, and Greens Falls in Voluntown — will be closed after July 4. The rest of the state campgrounds will remain open through Labor Day. DEEP spokesperson Dennis Schain said that state officials did detailed analysis of the state’s most used campgrounds and parks to determine what services would be cut or reduced. 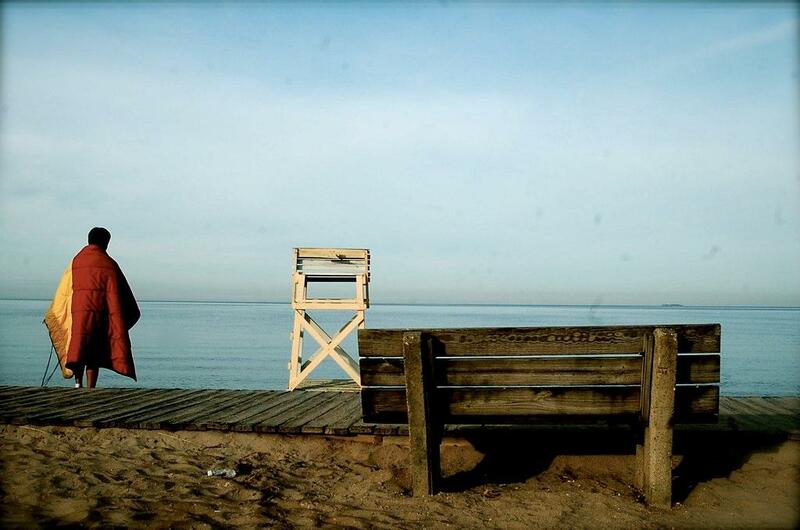 At state park beaches on Connecticut’s shoreline, lifeguards will be on duty five days a week as opposed to seven as they had been previously. Inland beaches will have lifeguards three to five days a week, but DEEP said they will have lifeguards on weekends, which are busiest. Schain said he understood public safety concerns, but that of the 23 state park beaches, only eight of them had guards to begin with. Those that didn’t have guards, Schain said, have designated swimming areas. “People need to obey the rules and use common sense, keep an eye on things especially with youngsters,” Schain said. Other parks -- including Dinosaur State Park, Gillette Castle and Heublein tower -- will remain open until Labor Day with shortened hours. DEEP Commissioner Robert Klee said DEEP hopes to take additional cost-cutting steps next spring. Katie Burns is a WNPR intern. Michigan is not the only state with a water crisis on its hands. Right now, communities in New York, New Hampshire, and Vermont are grappling with their own water contamination challenges. It’s just that for these states, the problem does not stem from corrosive water or aging lead pipes, but from a toxic chemical known as PFOA. Should Connecticut's Insurance Commissioner Step Aside? Controversy is growing around state Insurance Commissioner Katharine Wade. She's in charge of reviewing a $54 billion health insurance merger between Anthem and Cigna, but she's also a former employee of one of the companies in question. Should she recuse herself from the case? And what has been the role in all this of Governor Dannel Malloy, who appointed Wade last year? This hour, we take a closer look with a panel of local and national reporters.